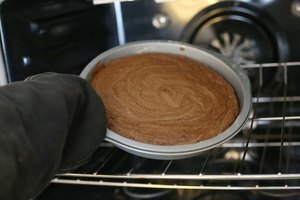 Baking a batch of cupcakes only to have them stuck firmly inside in the baking pan is frustrating whether you used a box of cake mix or took the time to prepare a recipe from scratch. 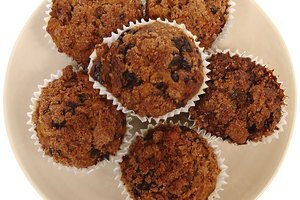 While preparing the pan before starting to bake is a crucial step to ensure that you can remove your baked treats in one piece, you can also make removing your cupcakes easier after baking. Remove the cupcakes from the oven when a toothpick inserted near the center of a cupcake comes out dry and clean. This indicates that the cupcakes are finished baking. Place the cupcake pan on a wire rack and let them cool in the pan for approximately 10 minutes. Run a butter knife gently around the edge of each cupcake to loosen it from the pan. 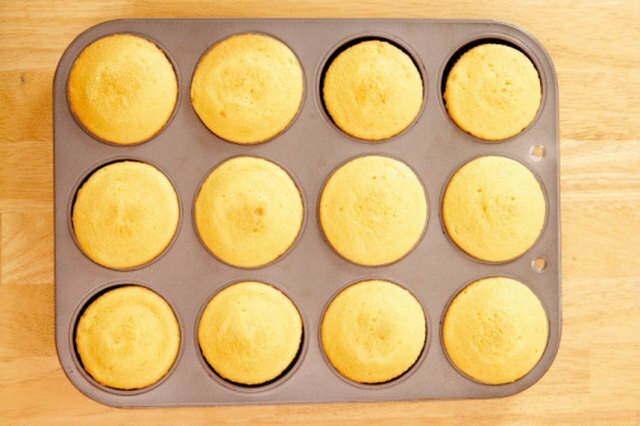 Place a towel on top of the cupcake pan so that it covers all of the cupcakes and flip the pan upside down while holding the ends of the towel tightly against the ends of the pan. As the cupcakes fall out of the pan, the towel will catch them so they don't fall onto your counter or table and break into pieces. Cool the cupcakes on the wire rack completely before you begin decorating them. Grease each cavity of your cupcake pan with melted butter or shortening or nonstick cooking spray to prevent the cupcakes from becoming stuck in the pan. You can also use paper cupcake liners to prevent the cupcakes from sticking to your pan. Look for these liners in the baking section of the grocery store. 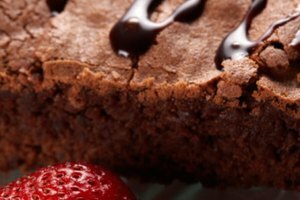 How to Individually Wrap Brownies?